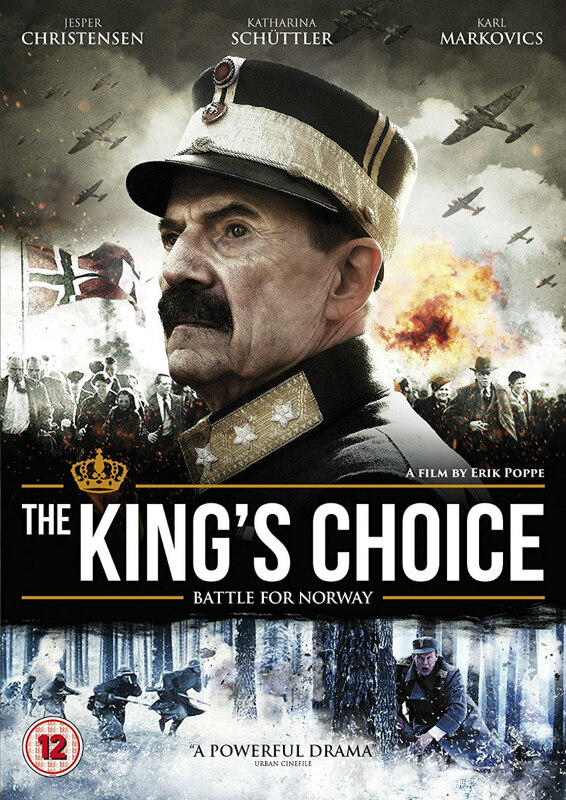 Did You Win WWII Drama THE KING'S CHOICE On DVD? WWII drama The King's Choice comes to DVD January 15th, and we've got two copies to give away to UK readers. Award winning historical drama The King's Choice comes to DVD January 15th from Thunderbird Releasing. The film tells the true story of the ultimatum presented to the King of Norway by the Nazis in 1940 to surrender or face the consequences. An award-winning historical drama based on a true story about three dramatic days in 1940,when the King of Norway was presented with an unimaginable ultimatum from the German armed forces: surrender or die. With the German Air force and soldiers hunting them, the Royal Family is forced to flee from the capital - parting ways without knowing if they’ll ever see each other again. The Crown Princess Märtha leaves Norway with the children to seek refuge in Sweden, whilst King Haakon and the Crown Prince Olav stay to fight. After three days of desperately trying to evade the Germans, Haakon makes his final decision; he refuses to capitulate, even if it may cost him, his family and many Norwegians their lives.